Is The Relationship Advice You Receive Putting You In The Right Position In Your Relationship? We give out relationship advice all the time to friends and family. One of the biggest difference in relationships that I have experienced personally and with clients that make them successful is … What POSITION you put your partner in. People have a vertical alignment that they are governed by whether that is consciously or unconsciously. Not sure what a Vertical Alignment is? Simply put, it’s the importance of a specific value chain in your life from top to bottom. For example, some people have the vertical alignment of God, Family, Business. For each person, they have a different vertical alignment based on what phase of life they are in, how strong their values are and how disciplined they are with them. My relationship advice is to take a moment to inter-reflect and write down what you believe your vertical alignment is for you. After you have done this, take a look at your relationship, is it where you want it to be? If not, look and identify where your partner is in the equation. Sometimes we don’t have our partner in a position within their vertical alignment that allows them to have a loving, passionate fulfilling relationship. For example, married couples that put their spouse number 1 over the kids have a far more successful relationship. Not saying the kids aren’t important because they definitely are, they need to see an example of love within a relationship (I could go on more into the psychology of it all but will leave that for a future video blog). Another way of stating this is to what priority are you putting first in your life. I believe when you strip back the layers of life, at the core of what life is, is LOVE! What is more important than your relationship with yourself and than your partner. Are you putting your partner first in your life (outside of yourself) or is it work? Facebook? Sports? Etc….if you wonder why you’re in and out of relationships, it’s because of positioning. 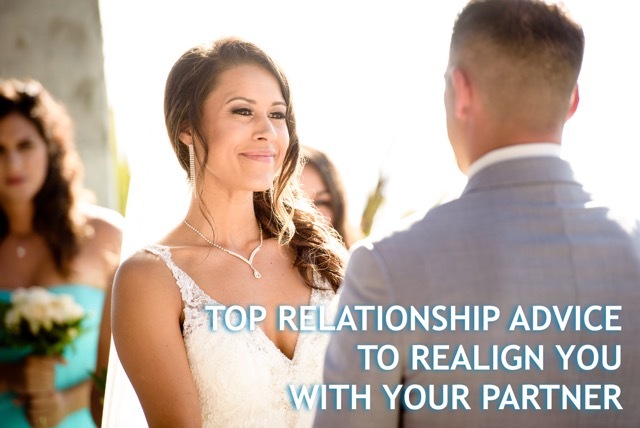 To have a healthy relationship, positioning your relationship and partner at the top of your vertical alignment can have a MASSIVE shift in your life. Now I get people put a position with God, Universe, Higher Power, Creator first (I have God at the top of mine). However, what comes after that pinnacle of your vertical alignment? If you do not position your partner at the top, this can not just affect your relationship. It could also it could affect your business, career, emotional state/home and so much more. I promise you, you have your partner in the wrong position of your relationship- it’s failing. Here’s a principle that you can carry with you in your tool belt: put your partner and their needs first and watch how much more you’re fulfilled. Your relationship will flourish. With that said….you must now be CONSISTENT! 2. Check My Vision Board: I look at my vision board and I have a picture of my wife on there right in the center of it. She’s in the middle to remind me that she’s ALWAYS my bullseye/target to win each day. 3. Pray For Your Partner: Each morning I start my day off with Prayer and I always include my wife into my prayers. There are infinite numbers of ways to remind yourself to position your partner first. The challenge with this is that most people never set up or create these powerful reminders. They are the catalyst for helping you keep your vertical alignment in check. Just like anything in life, you can do what you want but as a friend, I wanted to share what makes my wife and my relationship flourish with electrifying love. Most people believe that the relationship will just work themselves out. After thousands of coaching sessions on this topic and from personal experience – I can tell you that nothing works itself out unless you do the work. We take relationship advice from everyone but believe no one. What does that mean? We take that relationship advice and see if it fits for us. If it works, we keep it. If not, we release it, that simple. Most people do not understand what we mean by work when it comes to positioning your partner first. Some of the “work” that we are talking about is not just the physical action that you take. It is also the internal work (conversations, stories, imagery, etc) that you will take on to make both of your cups overflow. This can help even those that are going to marriage counseling. I am a huge fan of marriage counseling or marriage coaching also. It’s a place that couples can come to ask relationship questions to receive answers that are outside their scope of knowledge. The biggest mistake I see are that couples reject going to marriage counseling or coaching. This is because they are afraid others will see them and judge them. A great alternative is online relationship counseling or coaching. Christina and I are here for private relationship coaching if you desire. You can join our group coaching program to have the community to help support you in your transformation. What you do NOT want to do is jump on dating sites while you are in a relationship. That is a big No-no” and shows your lack of commitment to making it work between you and your partner. Remember to stay up to date and follow us on YouTube!